1. 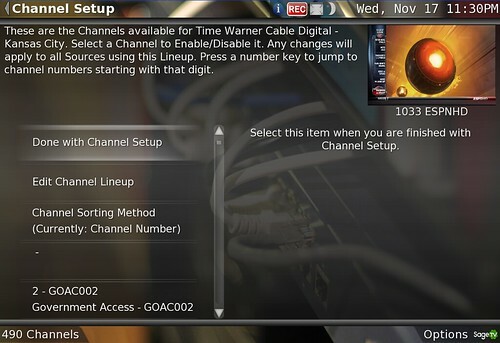 First connect the HD-PVR to your cable TV or satellite TV set top box. Don’t use the S-Video or Composite (RCA) for this. 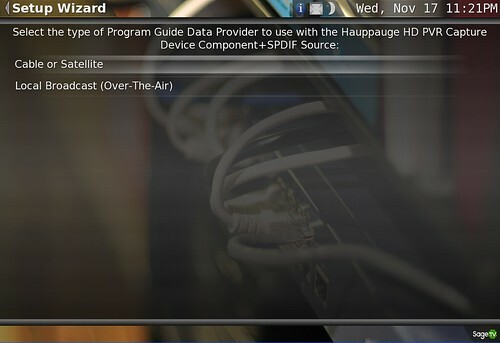 Take the included component cable that came with the HD-PVR and connect one end to your HD-PVR Component Video In and the other end of the cables to your set top box Component Video Out ports. 2. 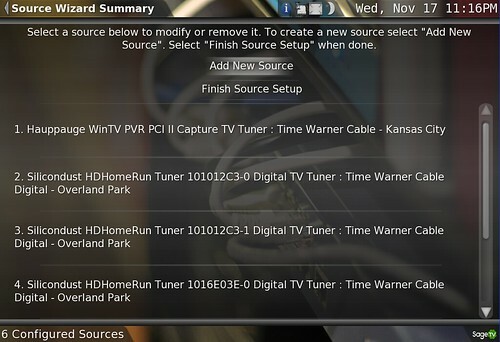 Connect the audio from your set top box to your HD-PVR. You can either use Optical (preferred) or the RCA audio cable to do this. a. IR Blaster - a poor IR blaster comes with the HD-PVR which I don’t recommend using. I prefer the USB-UIRT if you’ll be using IR Blasting to change channels. If you’re using the USB-UIRT follow the instructing in the link above. 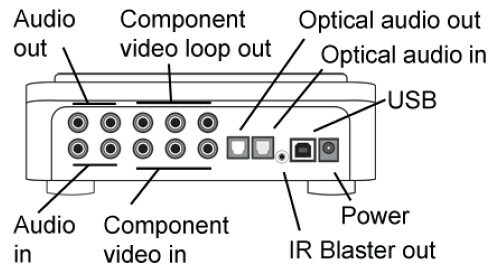 If using the included Hauppauge blaster follow the instructions in the Hauppauge manual and check this thread for more instructions (many, many people have issues getting the included IR blaster working). Again my preference by far is the USB-UIRT. b. Firewire – If you’re using firewire for channel changing you’ll be happier because it’s much more accurate and channel changes are much faster than with an IR blaster. 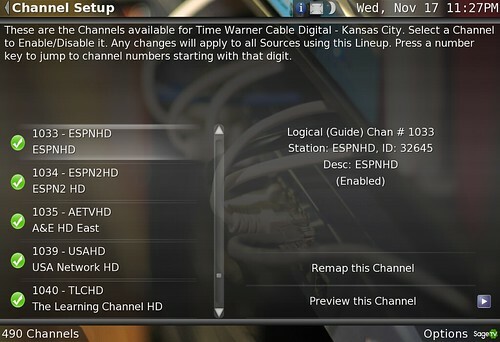 I’ll cover setting up firewire channel changing next week. 4. If you have any other Hauppauge tuners to install at this time, do the others first. 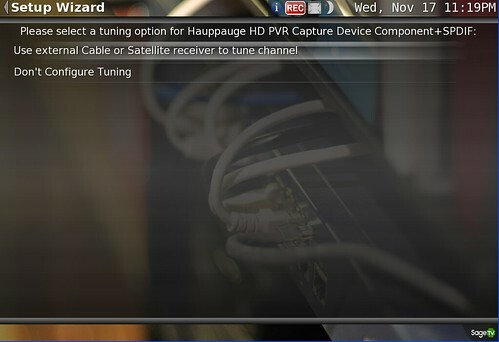 The HD-PVR tuning device should be the last of the bunch you install at one time. 5. Shut down your computer. 6. 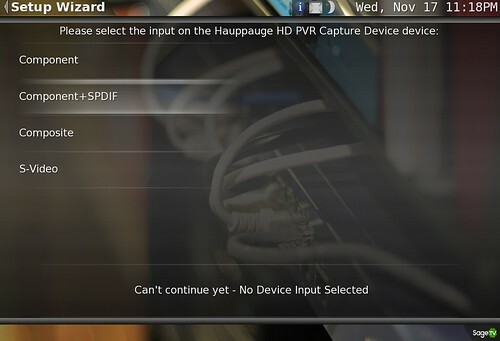 Connect the USB cable to your Hauppauge HD-PVR on one end and your HTPC on the other end. Try to avoid connecting to a USB replicator – go directly to your HTPC’s USB port on the computer itself. 8. Connect the HD-PVR power supply to the HD-PVR and plug it in to AC. 5. If a 'Found New Hardware' wizard appears, cancel it. Insert the Hauppauge WinTV Installation CD-ROM in your CD-ROM drive. 6. Install the driver (step one of the Hauppauge Installation Disk Process) NOTE: The latest Hauppauge Driver can be found at Hauppauge’s Support Page. For the record I’m currently using driver version 1.5.6.0 even though the latest on the support page is 1.5.7.0. Reason being – if it ain’t broke… don’t mess with it. I haven’t heard of any issues with this latest version though so give it a shot. 7. Optional for Windows 7 Users & Mandatory for Others: If you will be using this HTPC to play back HD-PVR recorded shows you’ll want to install the ArcSoft TotalMedia Extreme (TME). 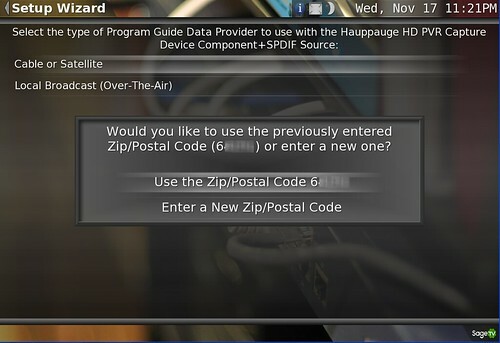 Don’t worry, we won’t have to use this program except to test, but it does install a codec your HTPC will need to playback those h.264 files it records to. 8. 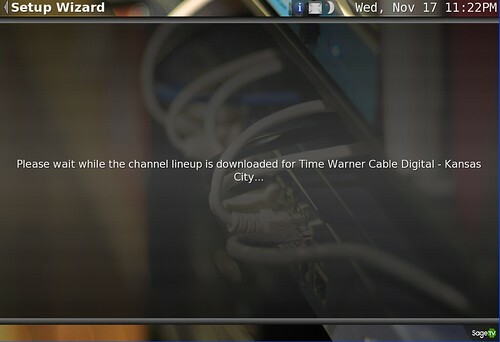 Open up ArcSoft TME and have it attempt to record and playback a show from your set top box. Don’t worry about channel changing at this point – just be sure it’s able to record and play back that content. 9. 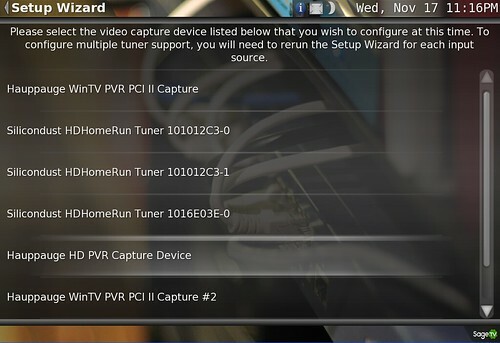 If you’re using the included IR Blaster (again I don’t recommend this) read over the steps on setting that up in the HD-PVR quick start guide. If you have the USB-UIRT, you should install that now if you haven’t already. 10. Alternatively if you’ll be using firewire for channel changing set that up now. A guide to this process coming next week. 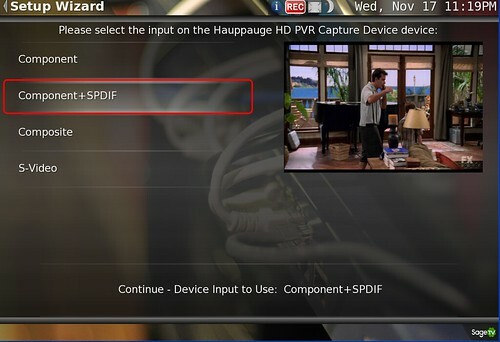 Choose the input you’re using with your HD-PVR. It should be either Component or Component+SPDIF. 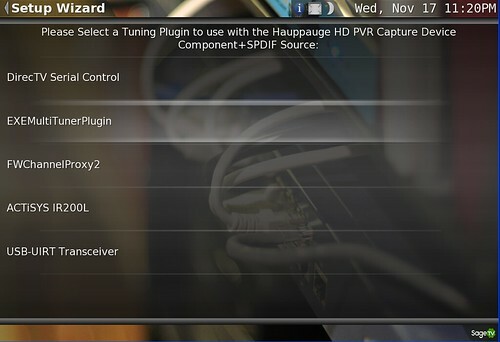 Choose your tuning plugin (what you’ll use to change channels). It should be one of the items listed in the choices. You’ll notice there is DirecTV Serial Control, a couple of firewire options (I already installed these before) and a couple of IR blaster choices. Before firewire tuning I used to use USB-UIRT. Now I use the FWChannelProxy2 which I set up for firewire tuning – again I’ll cover this process next week. 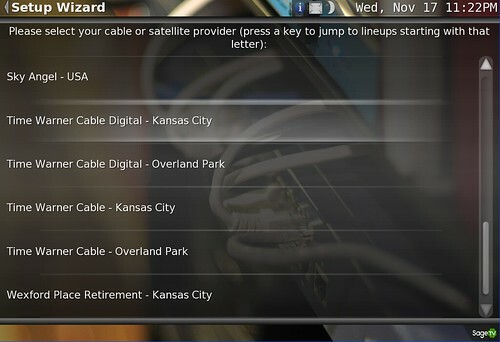 You’ll now see all of the available channels listed. 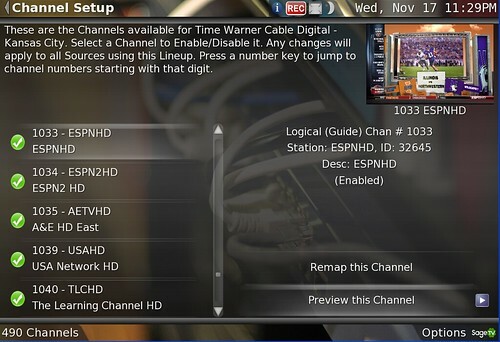 It doesn’t do a channel scan on the HD-PVR like SageTV does with other tuners. 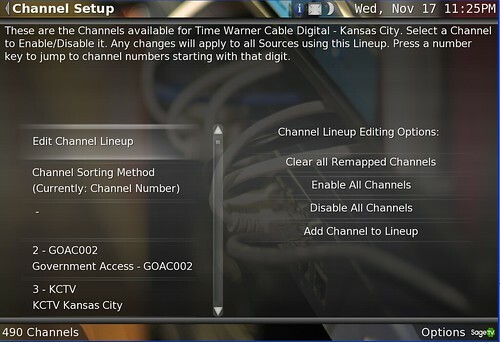 Just run through the list and enable/disable channels as you wish. 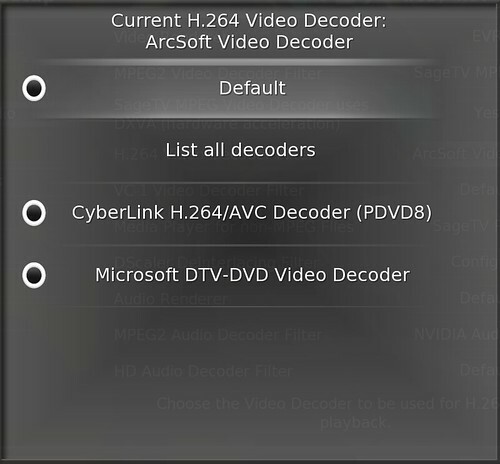 You can view and change the H.264 Video Decoder Filter in the Settings>Detailed Setup page. Mine uses the ArcSoft Video Decoder since I did install Arcsoft TME in step 8 above. That’s it. 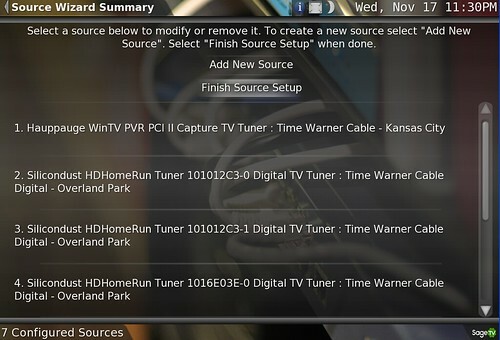 The HD-PVR takes a few extra steps to get set up, but it’s worth it. 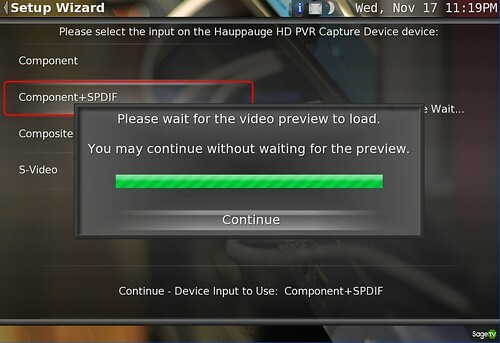 I’ve used my Hauppauge HD-PVR with SageTV for well over a year now and have had great success. ESPN, HBO, USA and many other channels are all recorded in HD with great picture quality on my SageTV and I can view them live or recorded played back on any of my extenders and HTPCs in the house as well as remotely with Placeshifter & the iOS add-on. 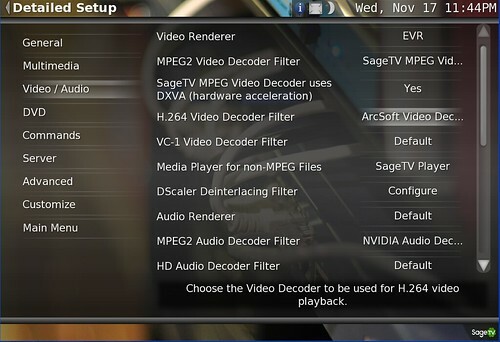 If you have any questions or suggestions about the HD-PVR/SageTV setup process let me know in the comments.